We all like love freebies. Getting free stuff and saving money go hand in hand. Unfortunately, most of the stuff you can get through so-called “freebie” sites are just plain old junk. I mean, who’d want to put a sticker of a company on their car bumper? And how many free pens and calendars do you even need? There is no more room on the fridge for the hundreds of free fridge magnets that every freebie site seems to be pushing! These things don’t even save you money. I mean, who goes out and buys bumper stickers? This whole thing is about saving money on things that you actually buy and use by not having to pay for ’em. The good news is that you can find useful stuff for free. Things that you can actually use. Things that will save you money since you get ’em for free. Even big retailers, like Walmart giveaway samples. With so many crappy sites that push useless junk for free, finding real free stuff can be time consuming and get boring real quick. 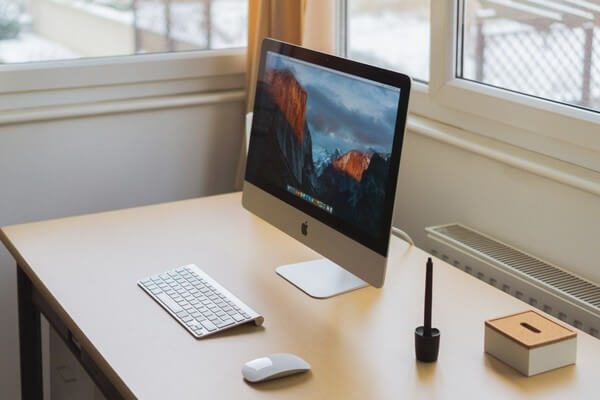 We did all the work for you and found you some of the best legitimate freebies websites where you can get things for free, things that you actually use in your everyday life. Let’s start with my top favorite sites. This is more of a product testing opportunity where they send you all kinds of products to test at home. Put simply, it’s product testing platform where you get free products in exchange for providing your feedback. Receive products to test at home. Complete a questionnaire about the product and what you liked and disliked about it. It’s a fun way to get free stuff! Freeflys is a great site that you can use to find all kinds of freebies and samples. As the name suggests, this is a site focused on finding free stuff for the ladies. You can find anything from baby and pet stuff to feminine products, hair and makeup, perfume samples, books and more. They also have an entire section dedicated to freebie contests from various brands. You can enter these contests to win products. This is not actually a freebie site. It’s a survey site, one of the best survey sites, to be exact. The reason I wanted to list it here is their Test Product program. When you join the site (which is free by the way,) not only you earn free gift cards and prizes for taking surveys, you also have the opportunity to get free products through their Test Products program. Basically, they send you a product, you use it and after a few days/weeks, they’ll send you an online questionnaire that you can use to answer questions about the product and share your experience of using it. You get to keep the product for free! And you know how most sample sites only give out small sample-sized items? With Toluna you get free larger sized freebies from brands like Maybelline, Rimmel, L’Oreal, and Nivea. Beauty products aren’t the only kind of stuff you get. You may also get electronics, household products, toys and more. This one is a favorite of mine and my girlfriend. We signed up (I think) about a year ago and we have gotten a few boxes of samples for free so far. Most of the items we have gotten so far, aren’t your usual pesky sample sized stuff, they are legit full size freebies. The boxes contain a variety of items – health and beauty, food, snack, drink mixes, magazine subscriptions and more. So why would they giveaway these stuff for absolutely free? Get the word out and attract new customers. Get feedback from real consumers so they can improve their products. Companies spend millions of dollars on ads every year trying to attract customers. But we can all agree that word of mouth and personal experience is the best way to create new customers. So, these companies have worked out a deal with PinchMe where they give ’em samples of their products to be given away to PinchMe members for free, in hopes of getting the word out about those products. Even if a small portion of those members become buying customers, these companies win. The only thing you are asked to do (besides enjoying the free stuff) is answer a few short questions after you use the products. As consumer, you get free stuff and new products that you may actually like, products that you didn’t know existed. Sign up for free and fill out your member profile so they know what kind of things you want. Once your member profile is complete, you’ll start to see available samples. They’ll ship ’em to you for free. A few weeks later, they’ll send you a survey you can take to share your feedback. From that point on, once a month at noon EST, PINCHme will release new free samples that you can request. Each month, they’ll let you know exactly what day the next batch will be ready so you can login and claim it before it’s too late. This is truly one of the best ways to get awesome free stuff. If you haven’t already, be sure to sign up. You never pay a dime for anything. Read our full review of PinchMe for details. We update the post with every new box we get. This is a little-known site that is just awesome. It features a huge selection of freebies and samples from categories such as Games, Gags, Bathroom freebies, Phone Stuff, Religion, Software, Teacher Stuff, Travel Supplies, and whatever else you can think of. It also has a huge selection of kid’s freebies that is updated frequently with new items like toys, books, T-shirts, coloring books and activities like roller skating. It is one of the best organized freebies sites. It is also one of the oldest ones, being around since 1997. You can find free stuff from electronics to food, baby products, games, books and much more. If you’re a social media addict, you’ll love this one. It’s basically a program like PINCHme. It’s focused mostly on products for women. So if you’re looking for free makeup and other health and beauty products, you’ll want to join this one. Once a month, you’ll receive a box full of freebies that you can use and keep for free. In exchange you review those products. Now, much like PINCHme, the stuff you get here are usually full-sized freebies and not just tiny sample sizes that you can barley use one time. The boxes also contain coupons and exclusive promo codes. One of the best things about Influenster is their “VoxBox” feature. A VoxBox usually contains themed products relevant to a season, holiday or other special times. And yes, it is 100% free. You don’t even pay for shipping! Smiley360 is another one like PINCHme. They send out boxes of free full-sized products and samples. In exchange for getting the freebies, you’ll have to complete “missions.” Basically sharing on social media, answering a few questions, etc. Be sure to fill out your profile completely. They’ll send you surveys based on your profile that may qualify you for a mission. To receive the full box, accept the mission. When it comes to freebie sites, there is no shortage of useless sites and outright scams. Usually, though, they come and go quickly, only to be replaced by a dozen more. So, one of the things that legitimate sites have in common is their age. And if age is any indication of a site’s trustworthiness, TotallyFreeStuff is as trusty as you can get – they have been around since 1998. They share really useful stuff and not just crappy stickers and magnets. The sites mentioned above are my personal favorites. But as I mentioned there are also many other great sites out there. If you don’t want to deal with writing reviews and just want to get free stuff without surveys and reviews, this is for you. SampleSource is a free sampling site. Every three months or so, they send you a box of free samples. To get these boxes, all you have to do is sign up for free so you can get notification for the next available box. Each box usually contains 5-15 items. They range from makeup and beauty care to household cleaning, food and even snacks. This is an awesome site with a huge list of free stuff that gets updated almost daily. They also have a lot of food related freebies – recipes, cookbooks, recipe software, free recipes by mail, etc. As the name suggests, this is a site for freebies. You can join their free newsletter to receive all kinds of free stuff from baby products to free beauty samples, recipes, food, snacks, and much more. Hey It’s Free is another long-running site that has been around since 2005. And unlike many other free stuff websites, it’s not cluttered with tons of ads at every corner. It’s easy to navigate, and easier to find what you’re looking for. Use the search box at the top to quickly and easily find what you need. They also share coupons and deals. This site has a huge selection in many different categories, including DVD/CD, Home & Garden, Clothing, Beauty, and Kids. One of the disadvantages of dealing with free stuff is that you have to be fast and get yours before the company giving them away runs out or the promotion ends. Thankfully, here you don’t have to worry about that. You can be one of the first ones to know of new stuff by subscribing to their free newsletter that notifies you immediately of any new freebies or samples available. Here, the freebies are not restricted to just sample products, but also great deals, coupons, and entry into sweepstakes that may get your hands on an even wider variety of free things. The site is organized like Pinterest, so expect to see these fabulous freebies and deals in vivid pictorial illustrations, which makes it easy to find what you are after. The best part of this site is their “Freebates” section. Here, they list free after rebate products. You buy the product at regular price. Mail in the form provided. Get your money back within a few days/weeks. Basically, you are getting the product for free. This is a beautiful site that not only finds you free stuff, but also finds you birthday freebies and even grocery coupons to save you even more money. I love their “Free Things to Do” section where they share activities you can enjoy for free in popular cities across the U.S.
By the way, if you are interested, be sure to check out our own post on free things to do. It lists 3079 things you can do for free in 53 cities. As the name suggests, this site focuses on finding and sharing stuff that moms like – think baby stuff (like free diapers,) cleaning supplies, health and beauty products, magazines, etc. One thing that separates this site from the others is its code section. This is a dedicated part of the site where they find and share codes for some of the most popular reward programs. These codes will get you free points on those reward programs. By the way, if you need a reason to join a site like Swagbucks, read my honest review of Swagbucks and find out how you can easily earn an extra $758.25 with Swagbucks. Free Stuff Finder is not just for freebies. It also shares coupons, deals, as well as tips and guides for couponing and saving money. And yes, they provide you with the coupons and promo codes that you can take to the store to get those items without paying a cent. This site is a must-use for freebies seekers. Not only you can get free samples of food, beauty products, toys, household care and others, you can also find tons of contests and sweepstakes that you can enter to win stuff. The best part is that they share awesome coupons and money saving deals for local businesses. So you can extend your savings to local shopping as well. One of the things I really like about this site is their active comments section where users talk about the experience of using various freebies and coupons and whether it worked for them or not. That can be a huge time saver since you can get a feel for whether or not something is worth pursuing. You can find a mind-boggling array of birthday freebies at FreeBirthdayTreats! They range from movie tickets to sumptuous meals, heavily discounted to completely free items. And the best thing is that you don’t have to celebrate with all these freebies on the actual day itself, as some of the offers stay good throughout your birthday week. It’s an awesome site that as the name suggests, shares real free samples daily. They also have coupons and promo codes, as well as exclusive deals on popular items. The aptly named FreeSamples.org is basically a website where you can get samples and freebies from a wide variety of companies and manufacturers. You can find freebies in many different categories – food, drinks, dog food, cleaning supplies, health and beauty freebies, and everything in between. The site gets updated frequently, so if you don’t see something you want, check back often. If all the options presented above still look kind of limited in terms of freebies offered, here is the ultimate Free Sample Monkey! This site functions more like an aggregate site. It routinely scans the internet for free samples and organizes them in a logical manner, in a centralized location. You can use the search function to find what you need. Or you can go through the list based on the sites you want to see stuff from. They also have a dedicated section for Canadian samples and freebies. This site also covers a variety of products. And if you’re looking for free stuff for kids and babies, this is a great site to visit. They also have things for adults. From stickers and books to food, clothing and more. This is a new site that doesn’t really look the part as far as the design of the site goes. But what they lack in design, they more than makeup for in what actually matters, finding you free stuff! This site gets updated often and they only share real popular freebies. These include free books, pet supplies, baby stuff, food, magazine subscriptions, stickers and more. Looking for free samples by mail? This is the site for you then. This is one of the best sites to get freebies with no strings attached. You can find free ringtones, books, medicine, perfume, shampoo and everything in between. You can find anything from free cookbooks and recipes to home care products, health and beauty supplies, and everything in between on this site. Their “Today’s Free List” section is updated every 24 hours. This is a great site especially for those of us looking to get free stuff by mail. This one is also an oldie but goody that has been around since 2008. You can opt in for their newsletter so you can get a list of the latest stuff in your inbox, daily. This is more of an “offers” site. They list “offers” that help you get something for free. For example, they may have a survey that taking it will enter you into a drawing for a $100 Visa gift card. So it’s not guaranteed that you’ll win, it’s just a chance to win. This site operates a little differently than traditional freebie sites. By joining the site, not only you can get free samples, you also can earn points for doing various activities like referring friends, answering trivia questions, taking polls and more. Every month, the top 50 users with most points earn a reward. The top 10 get a free $25 gift card. Be sure to check out their “Hot Free Stuff” section for the best latest stuff. Full Size Creme of Nature Coconut Milk Styling Products! You can also find a lot of coupons that manufacturers will mail to you so you can use in store. This is another rather unknown site that I actually think is one of the best ones. You can find tons of great samples from your favorite brands. What I really like about this site is that unlike many other similar sites that fill the site with mostly junk stuff, they offer mostly useful freebies. That makes it very easy to find what you are looking for. This is another great site that has been around for a long time. One of the best features of the site is their daily round up of the best freebies available on the Web. They also have a directory of other freebie sites. While researching for this post, I noticed some of the biggest retailers have something similar to some of the free sample box sites. They don’t offer it for free though, but it’s close. I though I’d share it for those of you interested. People always look for free stuff on Amazon. And there are tons of ways to get them, especially through Amazon review sites. Well, Amazon has just come out with a new program fro Prime members, called Prime Samples. You buy a sample of a product. For each sample you buy, you receive a credit equal to the price you paid for the sample. You can then use your credits to pay for future purchase of that (full-size) product. The samples cost between $2 and $4. But at the end of the day, you get the sample for free. This is actually a great way to try stuff before paying full price for full-size products. You wanna buy something for the first time, but you don’t know it that well and whether or not you’ll like it. So you don’t want to pay for a full size of it without that information. Until now, you had no choice – either buy it or ignore it. Yes, your favorite department store also offers free stuff. Walmart.com has a program known as the Walmart Sample Box Page. It works a little differently than the usual freebie sites. You’ll immediately receive your first box. Then, every three months you get a new box packed with samples and freebies. The box is free, you only pay for shipping which is a $5 flat fee. Each box contains a variety of items. The beauty of the program is that they have different categories. So if you like to get beauty products, you sign up for the Beauty Box. If you like to get baby stuff, you sign up for Baby Box. This is basically a subscription model that sites like PinchMe use, but the difference is that you pay for the shipping. Read our PinchMe review to see how it all works. Just like Walmart, Target also offers samples and freebies. It is known as the Target Sample Box and it works quite similarly to Walmart Sample Box. You get a box full of stuff for $7-$15. Not free, but very close to it, especially when you consider these boxes usually contain around $25-$30 worth of products. So Walgreens has something that is a bit different. They have a program known as the “Beauty Enthusiast” club. It is part of their store loyalty program, Balance Rewards. Basically you earn points for every dollar you spend at the store and online. On top of that, you receive tips from beauty experts, exclusive deals and coupons. And for us freebie seekers, they all send out free samples from time to time. If you shop at Walgreens a lot, it’d be a good idea to sign up. It’s free to sign up. There are also other sites you can use to source stuff for free. Some of these sites are general coupons and savings sites that also share freebies from time to time. Others, like Craigslist, allow you to get stuff in your local area. Either way, they are great resources. This is a rather new site that as the name suggests is geared towards moms. It’s basically a resource center for all kinds of free stuff and deals for anything a family would have use for. They give away free stuff and coupons from many different brands including Zulily, Toms, OrbitBaby, and ErgoBaby. This is another great site that is updated a few times a day. So you can always be the first to find the latest freebies and deals. Craigslist is the king of free stuff that you can get locally. All it takes is a look at the “Free” section daily. You’ve probably heard of AllYou Magazine. Well, they have a section on their site where they share all kinds of samples and freebies. They also write detailed guides on how to get free stuff from many top brands and stores. For example, recently they had a post on getting birthday freebies where they shared 55 things you can get for free on your birthday from stores like Ace Hardware, CVS, Old Navy, Sephora and even Victoria’s Secret. This is a nonprofit organization with over nine million members worldwide. Here, you can get and give stuff for free. Need something but can’t afford to buy it? Have something you don’t need/use anymore? Trade the unused item for what you need. Not only you get something for free, you also give someone a free item. Exchanges happen within groups that are moderated by local volunteers. You can find a group near you with a simple search. This is an extreme couponing website that shares some of the best coupons and deals, as well as the latest freebies and samples offered by some of the biggest brands and manufacturers. Their Freebies section is full of links to sites where you can get samples for free. So why do companies give away things for free? What do these brands gain by giving away their products? You see, by giving you the product for free, they are giving you a chance to try it before you buy it. If you like the product, chances are you are going to be buying it for the rest of your life. By giving away some freebies, these brands have the opportunity to gain life long, loyal customers. This strategy is usually much cheaper than traditional advertising, and works much better since a potential future customers gets to see, feel and use the actual product. 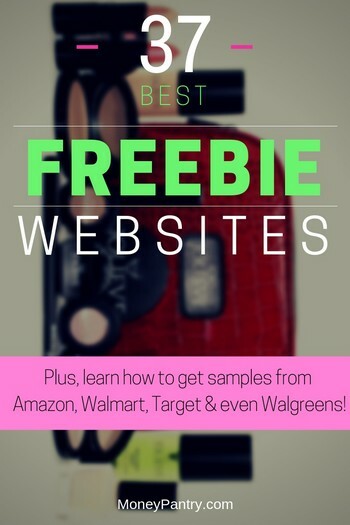 There are lots of websites that give free samples of products, but not all are equal. Some of them will bombard you with junk emails, yet when it comes to giving you freebies, they fall short. Getting emails from these sites is expected. After all, they don’t just spend their time and money finding you freebies out of the goodness of their hearts. In exchange for giving you those deals, they may send you advertising emails from time to time. That is to be expected. So if you want to keep your personal inbox clutter free, you may want to create a separate email address just for these freebie sites. It’ll help you stay organized and not miss out on potential free stuff by losing a notification email in your personal inbox’s junk folder. That said, these are all legit and safe sites that you can use to get real free stuff, not just free junk emails! Not sure if I understand your comment, Rose. Are you saying the site doesn’t load? Thanks for the addition Wendy. How long have you been using GimmieFreebies and what kind of samples and free stuff have you received so far? Almost SIX years! I’ve gotten everything from household items such as laundry soap to personal care items like deodorant and shampoo, clothes for me and my kids. I even got a free mattress – twice!! Many freebie sites such as GOFreebies give the runaround and claim they’ll send samples when in reality they DO NOT. Gofreebies does list some real samples, but it’s so hard to figure out how to actually get them and they mislead us into believing they have “warehouses full of free stuff to give away.” That is just not true. That’s not how freebie sites work. Real free sites may do giveaways (such as sweepstakes which have a limited number of prizes to random winners), but mostly they aggregate offers from real companies who are offering free samples or free things, or they may figure out ways to get free things in stores using specific coupons on items on sale so the item ends up being free. In short, most of the websites on this list are not actually very good! Thanks for sharing your experience, Wendy. she is a bot you can go on the site and she will show up. Wendy, thats great info you saved me the runaround that i just started with them. I’m home on short term disability and need to supplement my life a bit and was hoping to find some legit opportunities to do from home but its really really hard to weed through the bogus ones. InboxDollars has been my go to site for years but I’m searching for something similar thats as consistent and reliable as Inbox is. Any ideas anyone have? Tracy, have you tried other survey sites like Swagbucks, SurveySavvy and others? Here is a list of them: 30 Legit paid survey companies. Tracy… Would you like to try other websites that you can earn some extra money or gift cards from watching video, survey sign up from free sample or offers. I have been member of Swagbucks and PerkTv for years. It works for me. Todd, I am sorry about your situation. To be honest, a lot of their stuff depends on your geographical location and similar factors since many of the companies they use to get freebies from, target specific group of consumers. As for the same questions, I would think its because these are different surveys and each conducted for a different company/product. And the data is gathered separately for each, so that’s why you see same questions. Todd’s right! GoFreebies is more like GoOnAWildGooseChase! I’ve tried many times to acquire a free product, but all I do is waist 15 minutes answering questions & disclosing my email to the entire world! What really aggravated me was “You’re al most there: Question 13 of 12.” Really??? I’m not going to play this game to get some free trash bags!!! You can report them as spam & unsubscribe them if you have Gmail, I’m not sure how to do that process in other kinds of email. Smiley360 is a great site…I signed up 2-3 weeks ago and have already been chosen for 3 products to review for free. Thanks for sharing your experience, Jill. If you don’t mind me asking, what kind of products do they offer? http://freebie.website/ (AKA: Vonbeau) is my favorite website. I realy LOVE their Facebook group. No drama, just freebies!! Thanks for the addition, Deb. How long have you been using it and what kind of items have you gotten from them, if you dont mind me asking? Hi there, Satrap. I’ve been using Vonbeau since 2011. I would say they are my main freebie website. This morning they posted a free “rubber ducky”. lol. I love it, it is soo cute and 100% free, which is good. They also post samples, sweepstakes, deals and coupons. I can’t say enough good about Vonbeau. I also visit Gimmie Freebies, they are awesome as well. I just started visiting them about 6 months ago. Thanks for sharing your experience Deb. Have a great day as well. Thanks for the shout out Deb! I am also a big fan of Vonbeau. Jamie and her husband run the site. I have a great deal of respect for them!! They’re very nice people, and are conscientious and vigilant about what they post to ensure the online safety of their followers. We bounce things off each other before sharing sometimes, so that we’re sure to only post real, legit freebies. In my opinion, you can’t beat that philosophy from a freebie website standpoint! Thank you for taking time to share your experience, Lynnette. Do you use any other free stuff sites? Crowd tap is another site. Not only do you get free samples but gift cards for sites like Amazon as well. GetitFree is nothing but a fake. They say in emails that you either qualify for a certain sample or that they need your info to verify it, but once you get that far, you do offers and surveys. Normal and fair, right? Guess what? Once you run that gamut, you get matched to some OTHER samples, on another website, just to run the whole thing again….and again. It’s all fake! I agree, they have done some changes to their site that makes it a little confusing. I am going to try to get in touch with them and ask them about your experience. Thanks for taking time to share your experience, Terra. I cant’ even get to it! I use OpenDNS and it’s blocked. I use pinch me. I get free samples monthly. Then you go in and rate the products. Would love to add SampleMeMore to this list. We’re a fairly new site (6 months old) and the free samples directory gets regularly updated. Alice, the idea was to list the top ten. But I will probbaly be making a new list of all freebie sites and will include yours as well. Ana, thanks for the suggestion. I agree, however the idea for this list was to just list the 10 best ones. But I will either make a new post with more freebie sites or add to this list. Stay tuned. I have a freebie group on facebook. I only post direct links to the sample or freebie and I always test it out before I post. So when members click the link they just have to fill out the form and press submit and wait for their samples/freebies! I’ve gotten hundreds of things! II’m also a member of bzzagent, smily360, influenster, crowdtap, reviewkick ect. Busy mom lol ! Nice work, Alison. How long have you been running the FB group? how about the philippines can i recieve that freebies ? Hi Jeff, most of these offers are for the U.S., but I’ll keep you posted if I come across freebies for the Philippines. Thanks for reading! I requested to join that group days ago, but nothing…so she\\\\\\\’s obviously not as active as she claims. GoFreebies actually lists legit freebies, but the stuff they offer you at first is like on a lot of similar sites where you have to complete gold, silver, and platinum offers to receive it. I just skipped it, because I’ve learned not to create an account. My favorites are FreebieShark.com, Sampleaday.com, Getitfree.us, vonbeau.com, and munchkinsandwich.com. If you’re willing to provide feedback in exchange for full-size products, I use BzzAgent, Crowdtap, Influenster, and Swaggable. I get the most from Crowdtap, but you have to go on there pretty regularly to get chosen. Thank you for a great article. I have been interested in “Free” things from the internet. One day, I was thinking to have my own website to broadcast ” freebies” but I don’t know how to start getting the information. Is it ok to just post the freebies that I get from subscribing from other websites in my website or I need to get permission from the company who own the freebies. It’s a tricky situation, Pen. You can list the actual freebies normally without permission. But if you are going to take lists from other sites and add them as is to your own site, in that case you’d need to get permission. Getting a free Xbox would be very hard and it’s rare to find a legitimate site/company that will give away a Xbox truly free without surveys, or requiring you to buy something. Theres another free stuff site which is really good. It’s Usafreebiesdaily.com . Jessy, the site you mentioned, seems to only list sweepstakes and not actual free stuff. Does anyone know about Freebie mom on face book, and are they a real company. That pays you for freebies and does anyone really get the grand prize. Also curious about Freebiemom on Facebook. I am not familiar with them, so I can’t comment. Hopefully someone else may be able to answer this. Hi! Thanks for the post! I was just wondering – Is getitfree safe to use or is it a scam since you have to enter your info? I’m weary of entering my personal info to random sites. GetItFree is a legitimate site. I understand your concern with sites that ask for personal info, but this is done for a few reasons. Mainly, to be able to send you emails later with new deals, freebies, and perhaps promotional offers. After all, these sites have to make money somehow! 5. 2000 Freebies site is no longer available. Thanks for the heads up, Katie. It was an issue with the link. The site is still available. I fixed the link. It should be working now. These are all bullshi* i never got anything from these websites but junk emails ! The best site that I have found is freebie mom she has free samples all the time and you actually get them. She also does a lot of giveaways I have won quite a bit of stuff from her site. Freebie mom is the only site I found that is actually legit. Yes, Ali, we publish new content almost every day. So what would you guys say is the most gainful, legit freebee websites, without excessive junk emails? To be honest, it’s hard to pick one. It depends on what kind of freebies you are looking for. Also, the junk email part is a given. You are gonna get those no matter whcih site you join. Now the value may differ, but it’s gonna be there. There is now ya around it since that’s how these companies make their money and can afford to do this. They basically are selling ad space (within the emails) to those advertisers and hoping you will become a customer. So wendy i’ve tried alot of different freebie sites and i still haven’t gotten anything anything so am on the wrong sites cause i tried the gofreeie site and and i still haven’t gotten anything from that one either.can you please help me? What kind of freebies are you looking for, Joann? Also, keep in mind that a lot of these sites use your profile information to match you up with freebies. So, the more complete your profile is, the more chances you may have at getting those freebies. Check out our Free Stuff category for all kinds of ways you can get freebies and samples. Sadly, I don’t know of any company that sends freebies to Africa. I would love to get free samples! We love getting them too! Thanks for reading, Gloria! FreebieBin.com is another really great place to get Legit Freebies! I almost always get every single one in the mail! Hi Valerie! I actually tried to sign up with FreebieBin, and I just kept getting routed to new pages asking me the same questions over and over again. I didn’t really find it to be very user friendly, and since I was unable to get any freebies from the site, we left it off of our list. Thanks for reading!